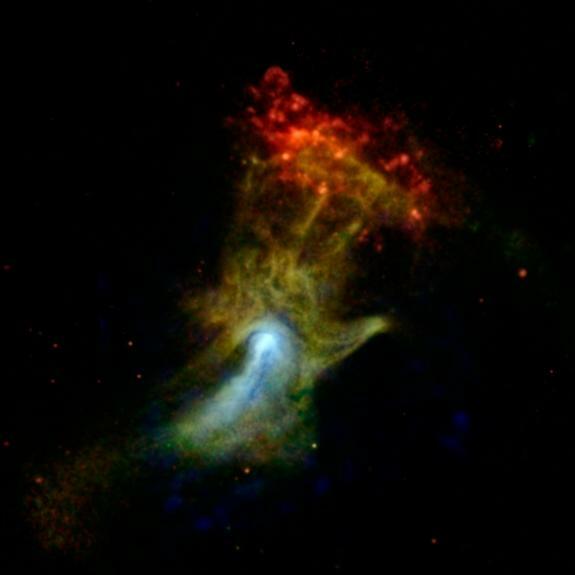 Has NASA found the ‘Hand of God’ working in outer space? You simply will not believe these AMAZING PICTURES. “NuSTAR’s unique viewpoint, in seeing the highest-energy X-rays, is showing us well-studied objects and regions in a whole new light,” NuSTAR telescope principal investigator Fiona Harrison, of the California Institute ofTechnology in Pasadena, said in a statement. See the full story :‘Hand of God’ Spotted by NASA Space Telescope (Photo) | Space.com.